Coaches even if you have completed the process please run through the checklists below. Online registration for the NJSIAA Non-Public schools attending the State Group meet closes Wednesday October 31st at 11:59pm. If you have any questions please contact rkellert@milesplit.com as soon as possible. Your registration page page is the Group Championship page. Please make sure you only have 8 athletes for your boys and girls squads by the deadline of 10/24. You should have no more than 8. On meet day you will be allowed 7 changes, those are completed by filling out a form with the timers at least 20 minutes before your race. No public schools should be entered to the Group Championship page, your entry is closed and was supposed to go through the sectional pages. You will automatically be carried over by the timers if you advance at Sectionals. This will help newcomers to online registration. If you have claimed your team already you can skip to the next section. If you haven't claimed your team go to the TEAMS page, find your team, claim it in the header section. *Please provide a school email or another way for the State Editor to quickly verify your coaching connection with the school. If enough information is given your approval will be granted within 24 hours if not immediately. These are important to maintain. Once you've claimed your team and are approved go to your team page again and click on the 'Edit Team' button. When you reach the Admin side, Click 'Roster'. Please do not "delete" athletes by changing their name to someone else, every athlete has their own career stats profile that never disappears. If you see misspellings, click the Edit pencil to the right of the row and make the correction. If you see duplicate athletes report them to rkellert@milesplit.com for merging. If an athlete does not have a graduation year add it, lets the program know when to push athletes to the alumni page and rankings them correctly by grade in the database. The XC and Track tags designate the rosters that will be available during online registration. Please make sure that athletes needed for the meet have correct tags, they can have both tags without issue. To edit grades, tags, and active status click the lighter pencils and edit in line. Press enter or click elsewhere to save. If you need new athletes not listed fill out their basic information to the Add Athlete form to the right or bottom depending on screen size. You should have already claimed your team and managed your roster. 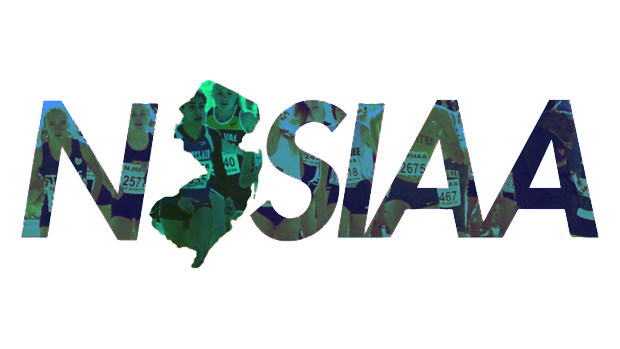 Click the NJ MileSplit site's calendar and find the NJSIAA Meet Page tied to your needs. On the meet page you will see a green Register Online Now button. There you should see your team listed, select your team for entry and hit next. Make sure your contact information is correct and add any other coaches this school may need, for example if you are the boys coach simply click Add next to the girls coach's name. Choose your division, in this case it should be Boys All Groups, Girls All Groups and hit next. Here you should see the Boys and Girls event to enter athletes, click Add Entries or Edit Entries on the event, on the right side you can check mark athletes to carry them over. To remove click remove or uncheck. You should only enter eight total for each Boys and Girls team. You should be able to follow along with all these steps on the left side of the screen as your enter.